All too often, communities that live around wildlife reserves are ostracized from conservation areas. Also, when rural communities are not helped to sustain themselves, or given adequate conservation education, we cannot expect these communities to do anything but look to protected areas for resources as a means of survival. To help address these issues, Wildlife ACT has initiated Community Conservation Projects around four game reserves in Zululand where endangered species need protection. This work involves in-school conservation lessons, a Kid’s Bush Camp program, adult conservation seminars, Wildlife Ambassador Clubs and community game drives, which much of it focused around Rhino Conservation. Wildlife ACT has hosted 90 Educational Bush Camps for 2 298 kids and 230 adults from 54 different schools. 165 hours of In-school Conservation Lessons given to 1 936 Kids from 10 different schools. 2 678 participants attended Community Meetings around both development and education. 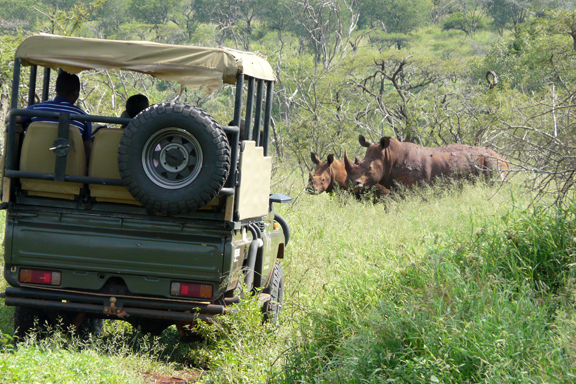 Topics ranged from the importance of rhino and ecotourism to the construction of a mobile clinic. 27 023 adults reached in Conservation Awareness Presentations / Seminars on topics around saving water, rhino poaching, the importance of domestic and ecotourism, the importance of wetlands, conserving wildlife for future generations, skills development, co-operating with neighboring reserves, general crime awareness and the control of mass hunting. All participants of the WESSA Environmental Educators training course from 2016 handed in their POE’s (Proof of evidence) for assessment. Wildlife ACT Fund held an End of Year function with all staff and Rhino Monitors from Somkhanda Game Reserve. 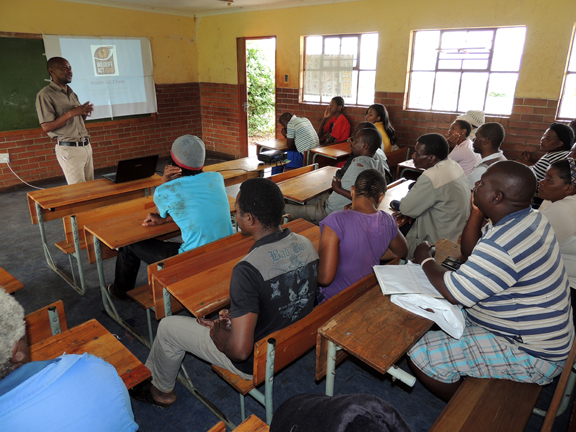 WESSA held a 5-day training course for Rhino Ambassadors on Environmental Education at Somkhanda Game Reserve. There were 15 attendees, 3 Wildlife ACT Fund staff members, 1 Rhino Art member, 1 Thanda Reserve member, 1 Manyoni (ZRR) member, 2 Phinda members, 1 Ezemvelo KZN Wildlife Mkhuze community member, 2 Wildlands Somkhanda members and 4 Somkhanda community members. Held a “day camp” for Somkhanda principals to showcase the work we do with the children at the Kids Camps. Held a “Rhino Awareness” Soccer & Netball tournament in Somkhanda Community where over 250 people attended. 1,468 people attended a community soccer match / Rhino Awareness Day organised in partnership with Project Rhino in the Mkhuze community. Other organisations in attendance were Wildlands, Ezemvelo KZN Wildlife, the Kingsley Holgate Foundation and Mbazwana Spar. Conducted the “Rhino Art” campaign in partnership with Project Rhino and Ezemvelo KZN Wildlife to 1 350 students at 12 Schools in the Mkuze communities. Thokozani Mlambo (KwaJobe CCL) receives the 2016 Disney Conservation Hero Award! Wildlife ACT’s Community Conservation Liaisons are working with primary schools within the Gumbi Community around the tribally-owned Somkhanda Game Reserve. Here they teach conservation lessons throughout the school year, during school hours, as part of students’ regular education. Students are given lessons in understanding ecological relationships, the importance of preserving biodiversity and conservation issues associated with snare hunting (to name a few). 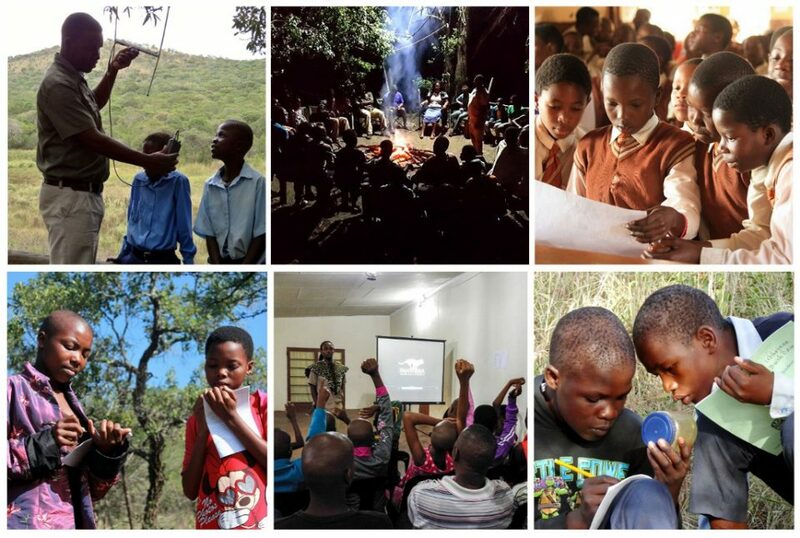 Grade six students from nine Gumbi Community schools attend free-of-charge, four-day conservation education camps at Ubhejane Bush Camp within Somkhanda Game Reserve. Wildlife ACT hopes to expand the program to more primary schools as the necessary funding becomes available. The program emphasizes hands-on child-centered discovery activities to teach students conservation concepts. The program is designed to instill a passion for nature conservation in young people. Our Community Conservation Liaisons also consult with village heads to arrange opportunities to interact directly with the members in the community. The seminars are used as a means to survey the community member’s own perspectives on the economic development and food security needs of each village. These seminars also include presentations about the purpose and importance of nature conservation in their area. Using information and feedback from these interactions, Wildlife ACT links community needs with community development organizations and agencies for the purpose of alleviating some of the economic and food security issues – especially those driving the bush meat trade and other unsustainable uses of natural resources. 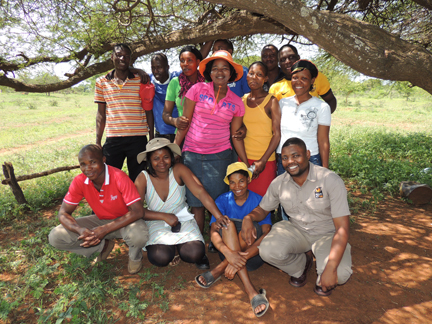 In communities around uMkhuze Game Reserve, Community Conservation Liaisons organize “Wildlife Ambassador Clubs” for young adults who are interested in being conservation models in their villages. The members are often unemployed and looking for ways to be active within their communities. Clubs meet once or twice a week to learn about conservation and organize sustainability projects in their villages. Once a year members participate in a free-of-charge weekend experience at the Mkhuze Enviro Camp to learn about the wildlife and its ecosystem first-hand. At Tembe Elephant Park, the Community Conservation Liaison provides free-of-charge educational game drives to members of the surrounding community with the support of the community-owned Tembe Lodge. These game drives and camp experiences are so important because they get community members into the reserve so they can see the beauty of this place that attracts tourists from all over the world. Ironically, most members of adjacent communities have never been inside their neighbouring parks. Many have never seen an elephant or a giraffe because vehicles and entrance fees are required. The park administrations work with Community Conservation Liaisons to provide community member’s free access into their parks. While anti-poaching and rhino rescue efforts are crucial to the immediate fight, the rhino war will be won through education in the end. When communities that live on the borders of rhino reserves understand why rhinos need to be conserved, how they can benefit from rhino conservation and why poaching is unsustainable, a buffer zone of friendly forces is created around each rhino population, making poaching less and less likely, until one day poaching is a thing of the past. Wildlife ACT understands the need for community conservation education in communities that border rhino populations. That is why we manage community rhino conservation projects in five game reserves that protect critical rhino populations. We do not prescribe development or upliftment agendas for the local communities we work with or alongside, but rather support their own development. It is not a top-down approach. We also believe that the communities we work with have the right people to serve their communities directly, and we therefore strive to build capacity for local talent. This is why we do not involve foreign volunteers in our community work. 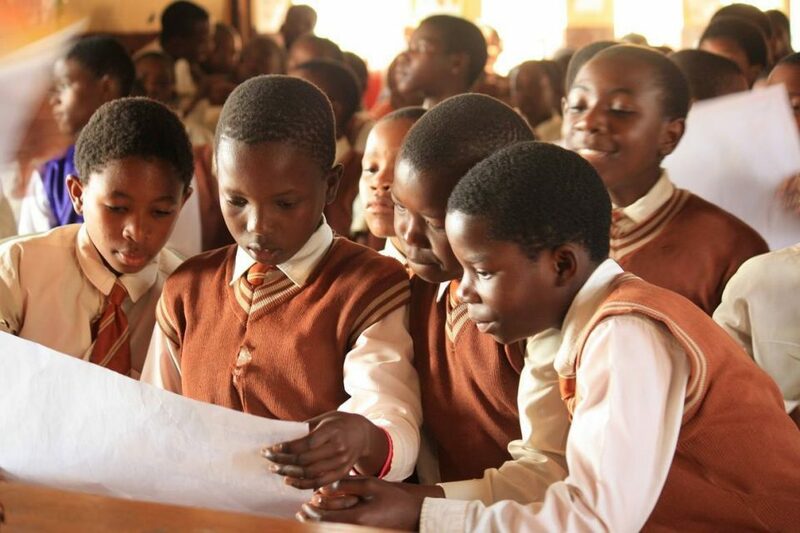 These educational and economic processes are slow and expensive, but the results are worth it. When communities are partners in conservation with their local rhino reserves, snaring rates go down and rhino horn poachers find no local support. This process has been validated in parks and game reserves around the world. Please help Wildlife ACT win this fight by supporting our community rhino conservation projects. ZAR30 000 (roughly $2,100) funds a FULL 4 day experience for approximately 30 kids.